Cormac McCaul an Irish artist under the alias of HUMBUZzER has forged his own unique world of sound. 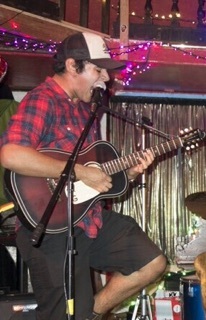 He pairs a unique guitar technique and style with a commanding and varied vocal register. He is a veteran of the festival circuit through Ireland and the United Kingdom and has entertained in public and private setting since the late nineties. He has also recorded Internationally and has cut with the high society of production professionals. ‘I wrote for the radio first when I was seventeen’…. ‘I wanted my lyrics like glass onion’s with hidden meanings, codes and symbolism’. He sounds like someone you have heard before, a little Young, a little Cohen, a little folk, a little hard rock, and a lot just of his own personality.